The handmade stoneware docking station delivers a perfect combination of nature and high tech. 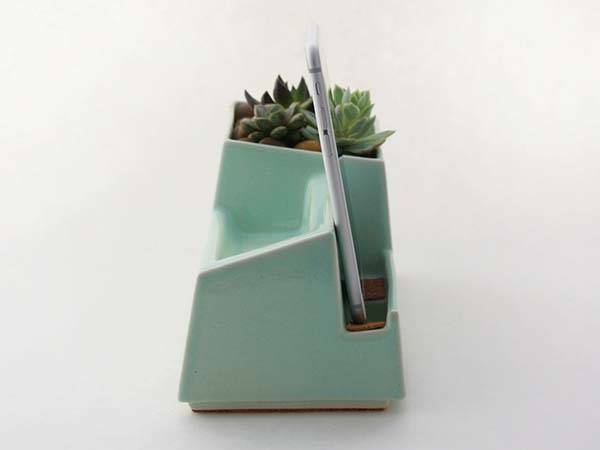 It allows to not only charge your smartphone, but also display your favorite plant with its integrated flower pot. 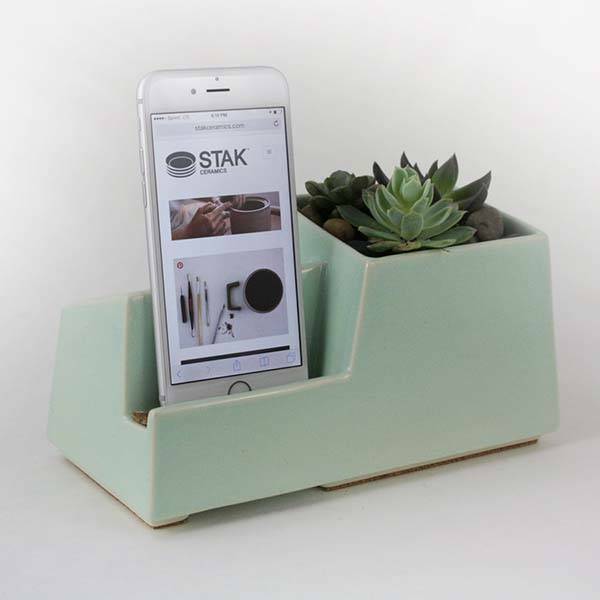 This is a unique, elegant and practical docking station, and handmade by Stak Ceramics, a small studio in Pittsburgh. 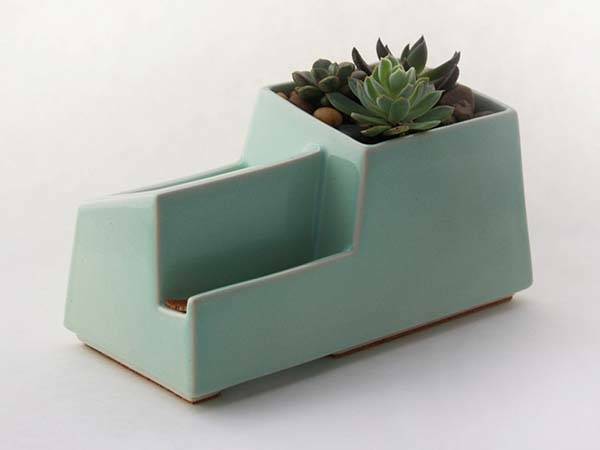 As shown in the images, the designer creatively combined the functions of charging station and plant pot into the phone dock made of white stoneware. The docking station works well with a variety of smartphones like iPhone 6/6 Plus/5/4, Galaxy Note and more, and its custom compartment and cable management provide a neat and tidy way to charge or sync your phone on the desk. Most importantly, the phone dock also features an integrated flower pot for your favorite house plant in order to add green and natural aesthetics to your room. Apart from that, the cork pads protect your phone and furniture from getting scratches. The handmade stoneware docking station comes in multiple colors, each is priced at $50 USD. If you’re interested, jump to Etsy for its more details. Additionally, if you want more unique options, you may like to check Pop Desk docking station and more by following tags.